September 2018 marks the third anniversary of the launch of the UN Sustainable Development Goals, the blueprint to achieve a better and more sustainable future for all by 2030, fighting key global challenges. 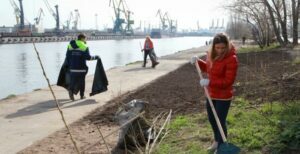 The business sector cannot stay behind on the way to a sustainable development. Only two years after their launch, in 2017, four in ten (40%) top companies acknowledged the goals in their corporate reporting. On the occasion, more than 300 Chief Executives from some of the world’s leading businesses joined Heads of State and leaders from both the United Nations and civil society on 24 September, at the 10th annual United Nations Private Sector Forum, during the 73rd regular session of the UN General Assembly, to explore solutions in support of sustainable development and peace. What matters in the UN Global Compact is that you are committed to values, and those values are exactly what makes your companies not only profitable, effective companies to the economy, but companies that contribute to prevention and sustaining peace which are now central to our concerns at the United Nations. The Sustainable Development Goals (SDGs) are a collection of 17 global goals set by the United Nations General Assembly. 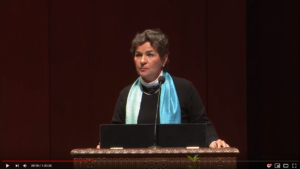 Endorsed by all 193 United Nations Member States in 2015, the 2030 Agenda and its Sustainable Development Goals focus global efforts and attention on 17 specifically pressing issues relating to poverty, inequality, climate change, war, injustice, etc. The SDGs are anticipated to generate at least US$12 trillion worth of market opportunities by 2030, which means that the private sector plays a critical role in providing solutions that can contribute to solving these challenges, while also generating new business opportunities. What is this year’s progress? Demonstrating the increasing engagement in responsible business, this year's Forum saw more than 60 CEOs make over 140 new expressions of support for eight different multi-stakeholder initiatives that advance peace, justice, women empowerment. --> Microsoft announced a new technology-focused initiative called “Artificial Intelligence (AI) for Humanitarian Action,” which will bring the power of AI to the UN family and non-profits around the world, focusing on the needs of children, refugees and displaced people, human rights and disaster relief. --> On behalf of all participants of the UN Global Compact Action Platform on Decent Work in Global Supply Chains, Unilever announced the release of Decent Work in Global Supply Chains: A Baseline Report, which features a six-tiered commitment from all participating companies in the Action Platform based on a understanding that decent work and economic growth are prerequisites for peace and stability. 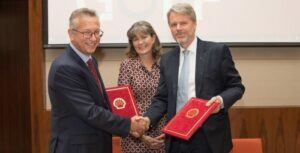 --> Inspired by a Chinese Government initiative to end poverty in China by 2020, China National Machinery Industry Corporation (SINOMACH) announced an awareness programme to “address poverty in the boardroom”, including by addressing all parts of the value chain that are affected by poverty and instability. 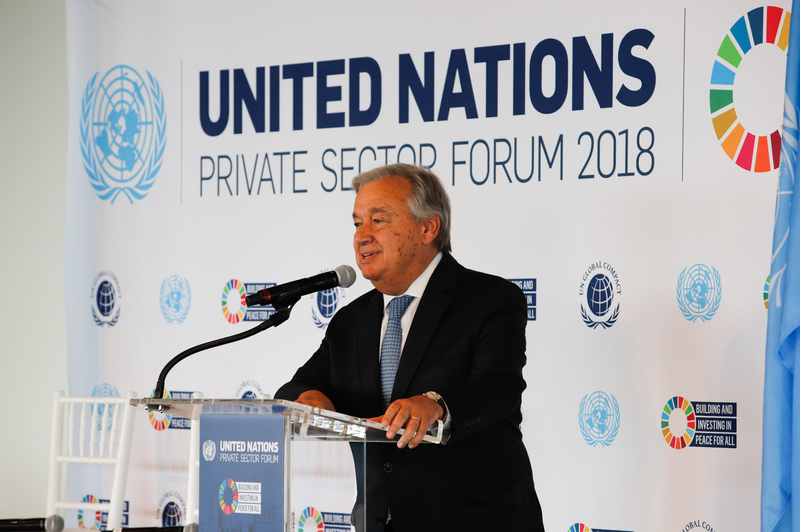 --> Alongside the Forum, the UN Global Compact also launched a new Action Platform to engage businesses on Sustainable Development Goal 16 to promote peace, justice and strong institutions. The Action Platform will serve as a two-year programme bringing together business, Governments, civil society and UN Agencies towards a peaceful and inclusive society for sustainable development. Within two years of the UN goals launch in 2015, four in ten (40%) top companies acknowledged the global goals in their corporate reporting. 84% of the companies that acknowledged the goals in their reports identified the SDGs they consider most relevant to their business. Three quarters (75%) of companies that report on the SDGs discuss the impact their business has on the goals, but reporting is largely unbalanced with most companies discussing their positive impacts but not the negative. Four in ten (39%) companies that report on the SDGs include the global goals in their CEO and or Chair's message. Only one in five reporting companies reports on any of the 169 individual SDG targets set by the UN. 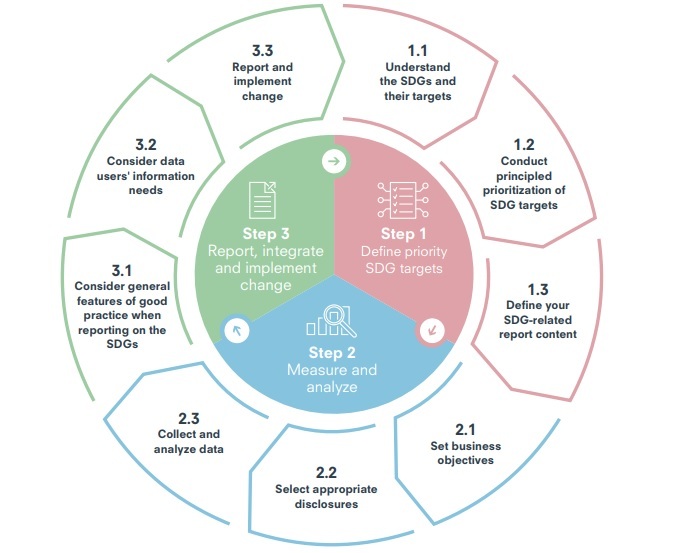 A practical guide issued by UN Global Contact outlines a three-step process to embed the SDGs in existing business and reporting processes. #Step 1 addresses the process of prioritization of impacts and the identification of SDGs for a company to act and report on. #Step 2 looks at how to set business objectives, select disclosures and analyze performance. #Step 3 offers tips and guidance on reporting and improving SDG performance. These steps are not necessarily meant to be sequential; they can be adapted to specific circumstances. All of us at the UN Global Compact are addressing the ocean challenge very seriously. Business need to work in partnership with Governments, civil society and academia to take collective Ocean Action and drive development. -UN Global Compact CEO & Executive Director Lise Kingo.